Google TV: TV meets web-Web meets TV, Google TV SDK and web APIs for TV coming soon! Google TV combines television with Internet, and opens up your TV from few hundred to millions of channels across TV and the web. “With Google Chrome built in, you can access your favorite websites and easily move between television & web, and your TV can be a video, photo slideshow viewer, gaming console, music player and much more. Google TV uses search to give you an easy & fast way to navigate to television channels, websites, apps, shows and movies. Because it’s built on open platforms like Android and Google Chrome, web developers to start coming up with web & Android apps designed specifically for TV experience. Developers can start optimizing their websites for Google TV. Soon after launch, we’ll release the Google TV SDK and web APIs for TV so that developers can build even richer apps and distribute them through Android Market. 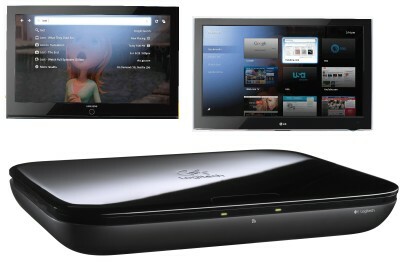 Working with Sony and Logitech to put Google TV inside of televisions, Blu-ray players and companion boxes. These devices will go on sale this fall on Best Buy stores nationwide,” announced Google.